The video was filmed during the rehearsals for the live performance which was conceived in collaboration with artist and technologist Charles Gershom and produced at Chisenhale Dance Space. 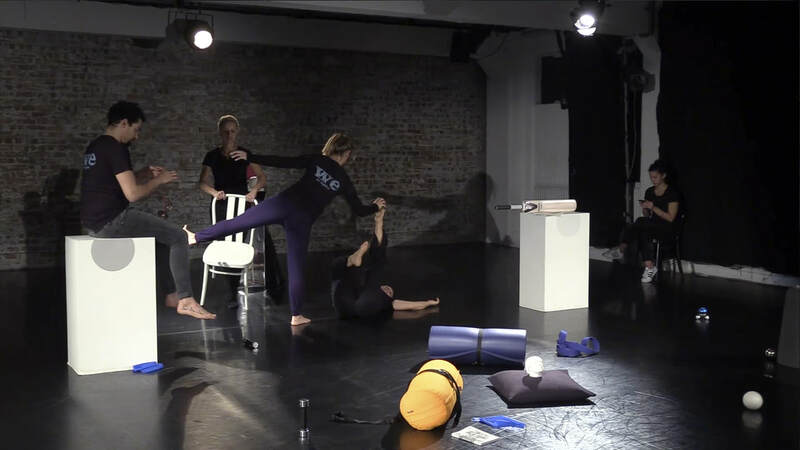 This new live work presents two concurrent durational performances, Live Chat & Sound Stage. Both parts explore how our perception of time and space has changed through social media interaction. in relation to the pervasiveness of social media and online communication. Echoing a live chat room the performative actions coupled with the online voices create an acoustic echo chamber that immerses the viewer in an experimental sonic landscape. The online communication touches on a variety of emotional and personal concerns regarding digital technology and in particular questions surrounding the notion of connectedness in virtual space.